So now we had gone from a tent on top of our truck to a travel trailer with a kitchen and bathroom. We knew it was time to pause. For one thing, we’d never towed anything, EVER. We also had to reconsider our budget… though the cost was far less than we had guessed, it was not insignificant. Lots of other things came to mind… Where would we store it? Would we be able to move around easily? What brand? What floorplan? Before launching into trailer research we thought about scrapping the camping vision and staying in hotels instead. This was attractive because it would require less up-front work, wouldn’t risk making a large purchase that we may not be happy with, and would be comfortable (no changes in what we’re used to). On the flip side, we would have to lug our stuff in and out of hotels, wouldn’t have as much ability to make our own food, would have a lot less storage room, and wouldn’t be trying something new. So after much deliberation we started looking at trailers. A big consideration was maximum size – weight and length. We needed to start with this to narrow our search. At first, we set a maximum size at about 21 feet, but after looking around we realized that we’d be very cramped. Todd talked to people who tow trailers and got more comfortable that about 24 feet would be doable. 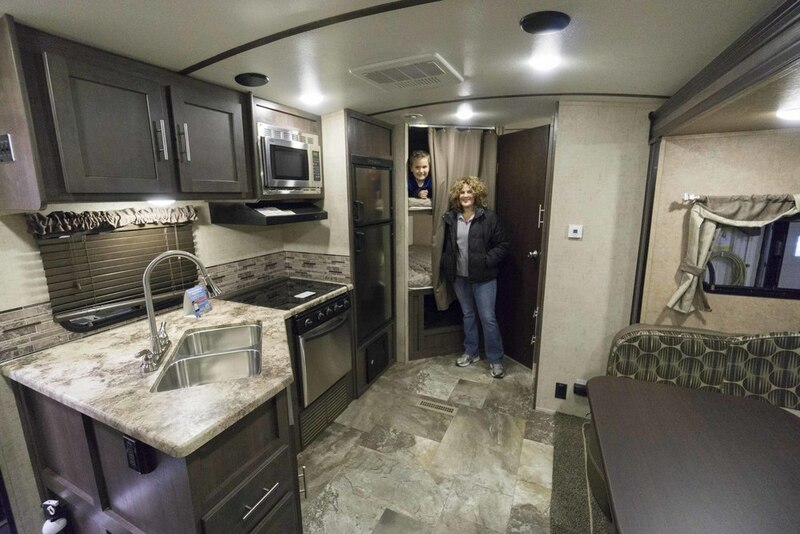 As we narrowed our search of 23 - 24 foot trailers, we found two general floorplans. One offers a lot of open space. The master bed is a murphy bed that folds up into a couch. There are either no bunks or the bunks are very narrow. The other offers less open space but more privacy in the sleeping areas and the bunk beds are full size. We like open space, but we also really enjoy privacy and everyone in the family having our own spots. Ultimately we concluded that we don’t expect to spend much time inside, so open space isn’t as important as privacy. With the floorplan narrowed down, we had other details to think about. We talked to a lot of people who were so helpful and came up with other items that are important to us. These are items that aren’t always standard. In addition to the items specific to the trailer, we thought about the dealer. Given that this is our first experience we wanted to be really comfortable that the dealer would spend extra time with us making sure we don’t miss any big items and are in good shape when we drive off the lot. 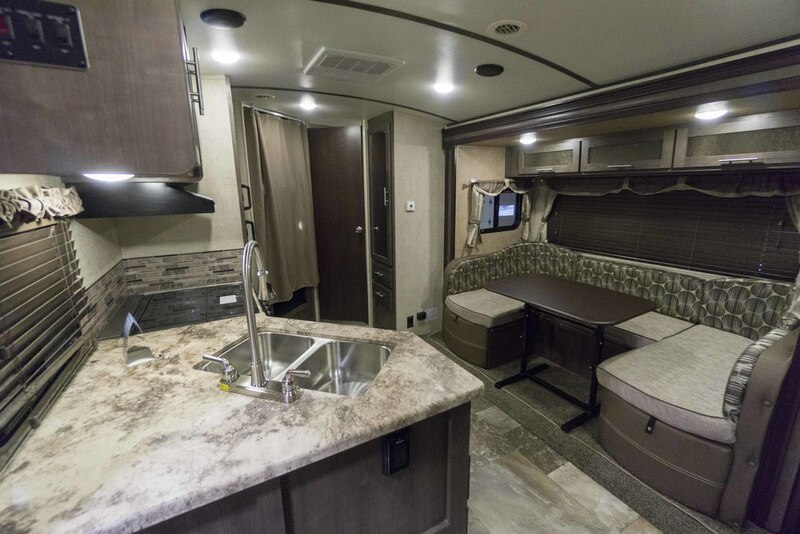 We ultimately purchased the Forest River Surveyor 245 from Avalon RV in Medina. The group at Avalon has been super helpful to us and we can’t wait to pick it up in April!